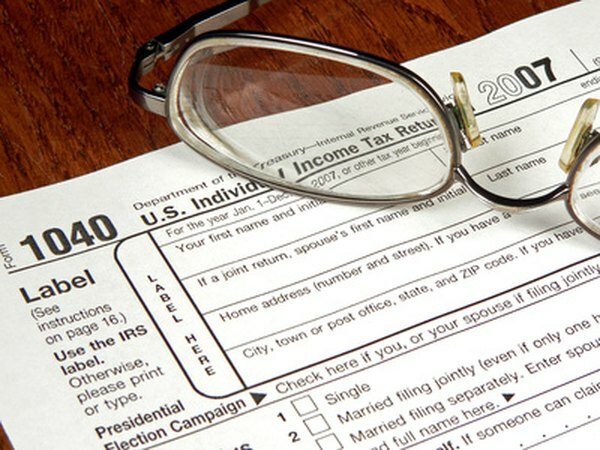 Are 401(k) Plans Taxed When Death Occurs? 401(k) assets are generally taxed only when distributions are made. 1. How Is a 401(k) Paid Out Upon Death? 2. What Happens to Mutual Funds at the Death of Owner? 3. Can a Spouse Touch My 401k? A 401(k) account balance is not directly taxed at death. However, the plan participant's estate may be responsible for paying taxes if the assets exceed a certain value. At death, a 401(k) account becomes property of the beneficiary, and distributions are taxed based on the relationship to the deceased. A spouse has the option to roll inherited 401(k) funds into his own individual retirement account, with no tax liability at the time of the rollover, or to begin annual distributions based on his life expectancy, regardless of age. This allows the beneficiary to avoid the usual 10 percent early distribution penalty on funds withdrawn before he reaches age 59 1/2. Only applicable income tax is due on distributions. Non-spouses cannot roll funds into their traditional IRA, but they can have the employer transfer the funds into an inherited IRA. This allows the assets to continue to grow tax-deferred until the beneficiary reaches retirement age. A beneficiary can also take a distribution from the plan and pay tax on the amount as regular income. There is no early withdrawal penalty if the distribution is taken from the deceased's plan. Once funds are rolled over into an inherited IRA, they are subject to regular IRA rules. A 401(k) account may be subject to estate tax. Estates worth less than about $5 million are exempt from estate tax through 2012. Beginning 2013, the figure drops to $1 million. However, the tax is not paid out of the 401(k) plan assets directly, and beneficiaries can claim a tax deduction for the amount of tax paid by the estate on the retirement account. A 401(k) plan has different rules from an IRA regarding beneficiaries. A 401(k) automatically selects your spouse as beneficiary if you are married at the time of death, regardless of how the account was set up. If you prefer your 401(k) funds go to anyone else, you must have your spouse waive the right to the funds in writing. If you marry after you set up the plan, address this issue immediately. In a federal case decided in Louisiana, named beneficiaries were denied inheritance in favor of a spouse because of a later marriage, according to a 2011 article by the "The Wall Street Journal." By contrast, IRAs must be passed to whomever is named beneficiary, regardless of the relationship to the plan participant. Can a Trust Be a Designated Beneficiary in a 401(k)? What Happens to My 401(k) If I Die Before Retirement? Can an Inherited 401(k) Be Rolled Over to an IRA? Is Inherited Money Tax Free?